With 2018 winding down and 2019 right around the corner, we wanted to say thank you for supporting our cause, and we applaud your continued backing in the future. Your generosity and support have been the key ingredients to our success. This new mold plastic binder with round corner edge which looks more elegant. 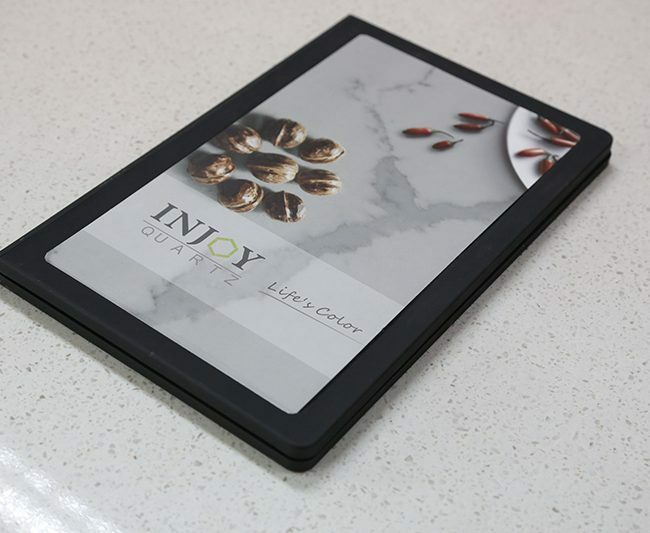 The inside layout including 4 colors per page and 8 colors per page. 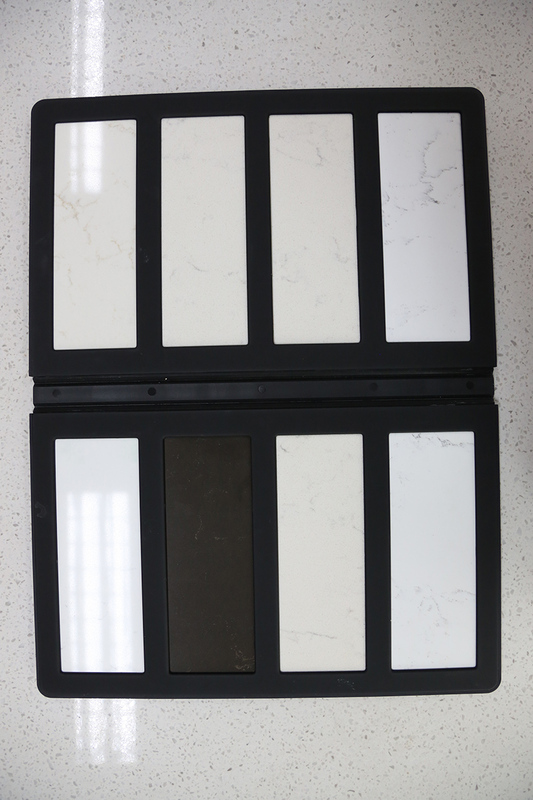 sample size can be 60*70*5mm and 60*155*5mm. it can be two pages, three pages and four pages as request. 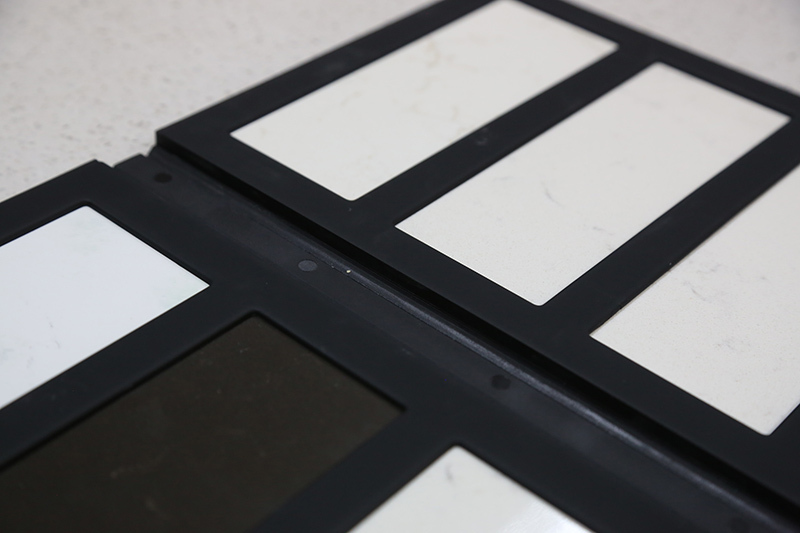 Exhibit your granite, marble, quartz stone or mosaic tiles in a excellent packing box. Metal Case made of aluminum sheet with die cut foam inside fit varies thickness of stone and tile samples. Metal case is more durable than paper box. But the out surface can not have a brilliant artwork. inside upper case can make a pocket for brochure sheets. Casters can be added for heavy stone samples. Paper board box made of grey board or MDF panel inside. Die cut foam can be stick into the box. 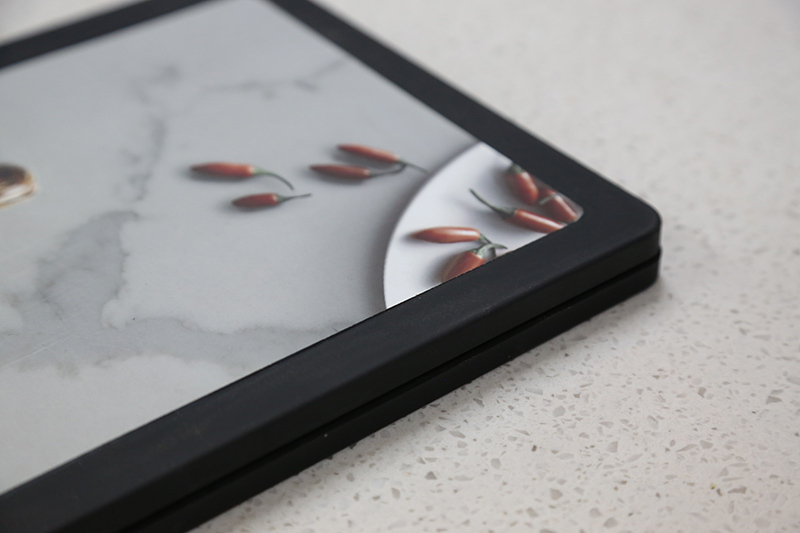 Custom artwork work well on the surface of the case. various shape of box can be customized. Need pricing or other detail information, welcome email our customer service. 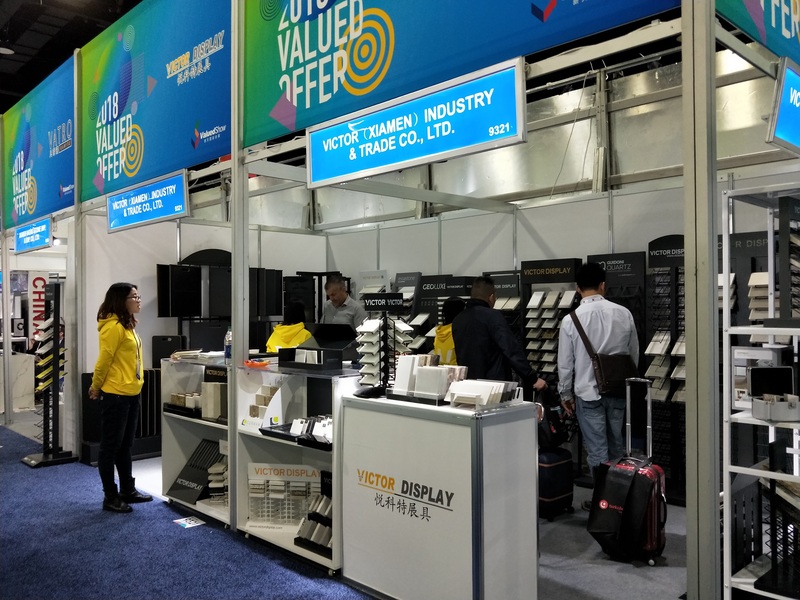 It was great to meet our clients and new customers. We are so happy that we can do some help for their marketing demand. 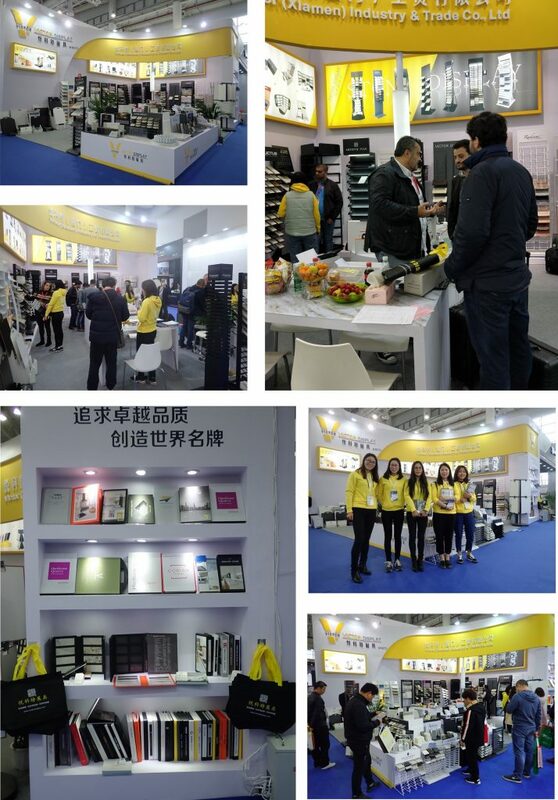 Our Tower displays, tabeltop displays, sample books, sample case and sample cards are warmly welcome at the fair. 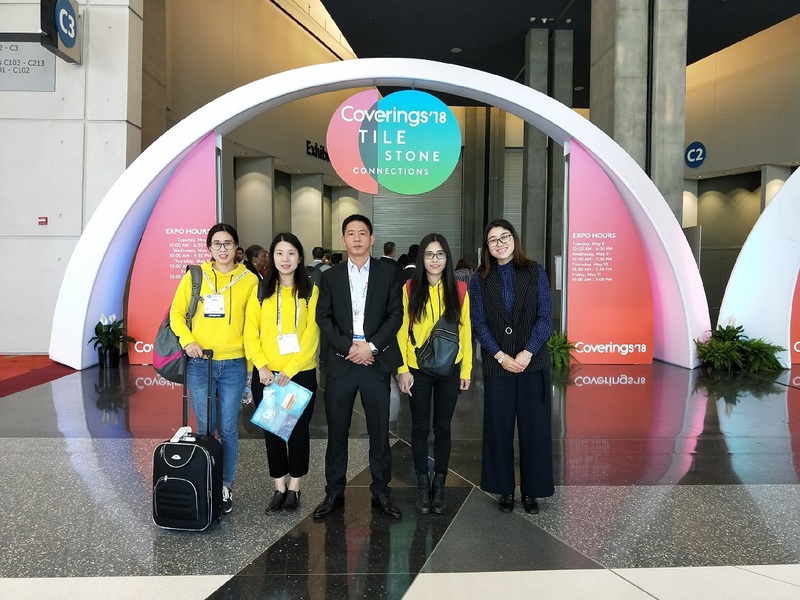 Coverings is the largest tile and stone show in North America with 9 miles of the latest trends and exhibitors from over 40 countries. 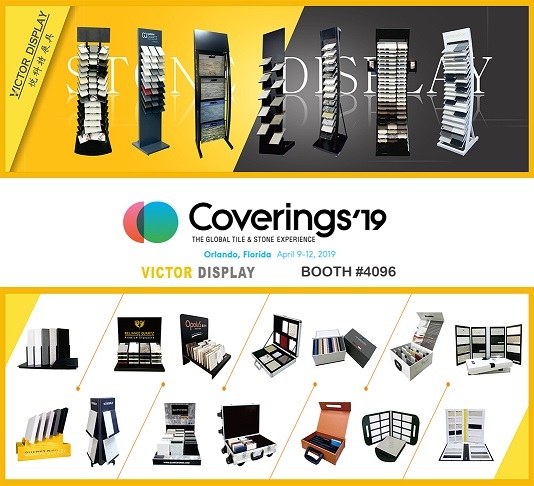 Coverings 2018 is organized between 08 May and 11 May 2018 at Atlanta. 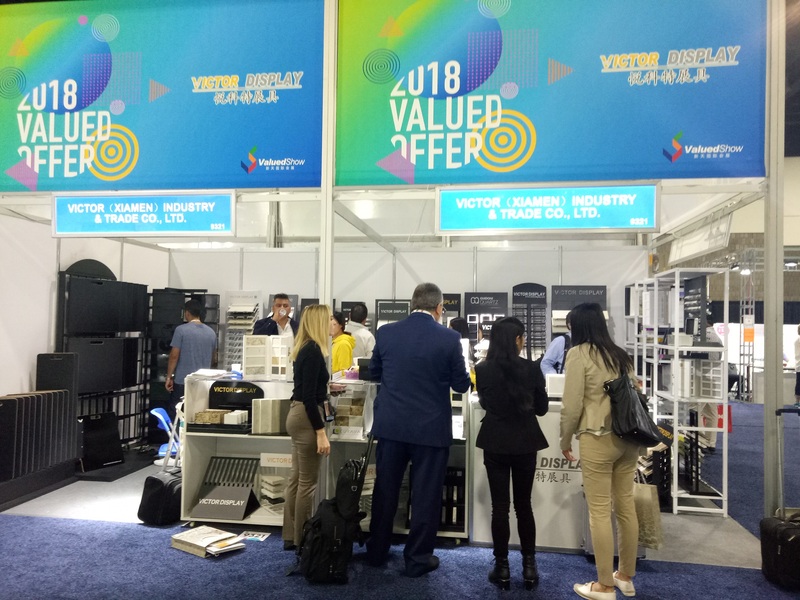 Victor Display Sales Team will attend the fair and introduce our new displays to customers. The 18th Xiamen international stone fair open this morning. More than 2,000 corporations from 56 different countires attend this fair. 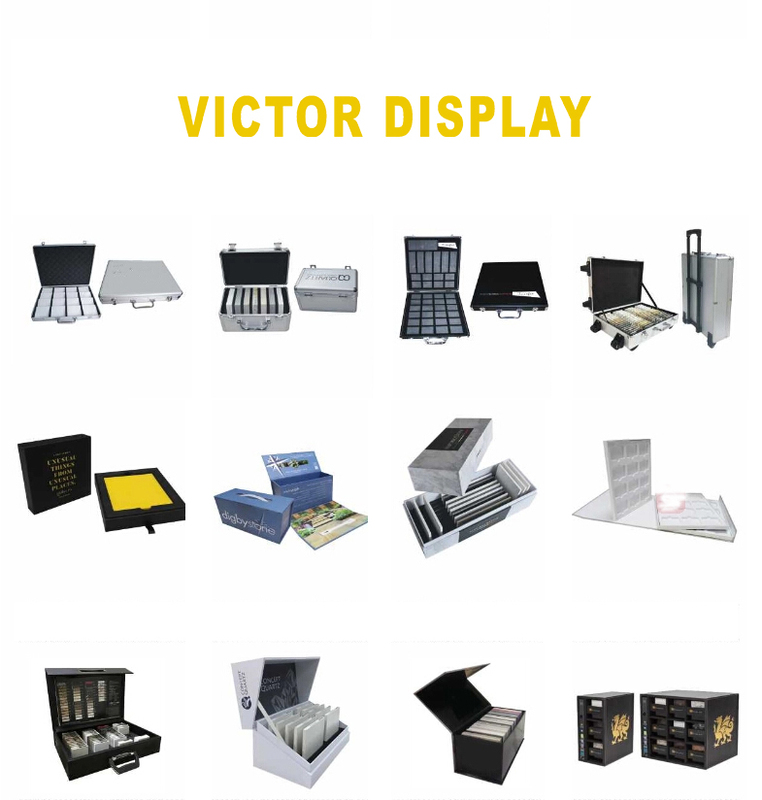 Victor Display bring our new display stand, sample books, sample case waiting for you at stand W101. Welcome visit us. we will give you a best solution for your marketing 2018. 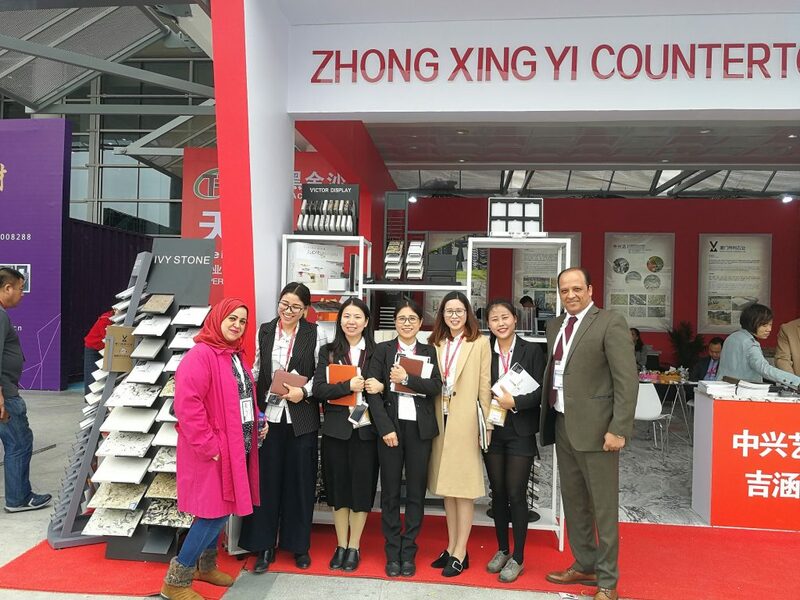 Welcome Visit US at stand W101 for your stone samples. 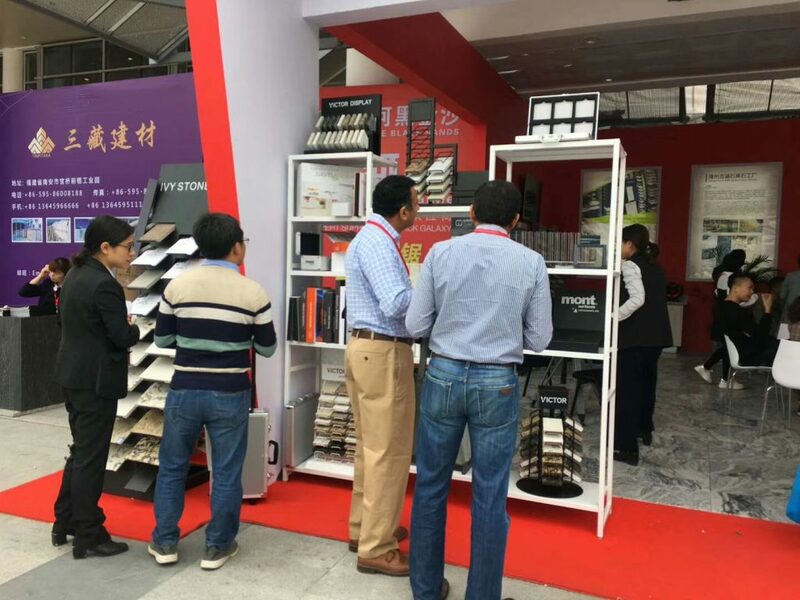 we bring our new idea tower display, sample books, sample case for reference. The biggest holiday Spring festival will Coming soon. 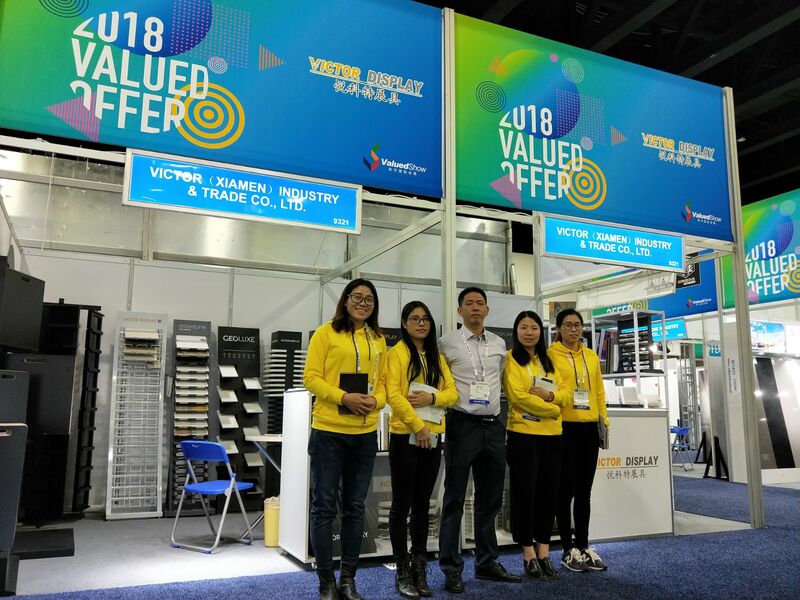 Victor Display Wish all of our customers a happy holiday. 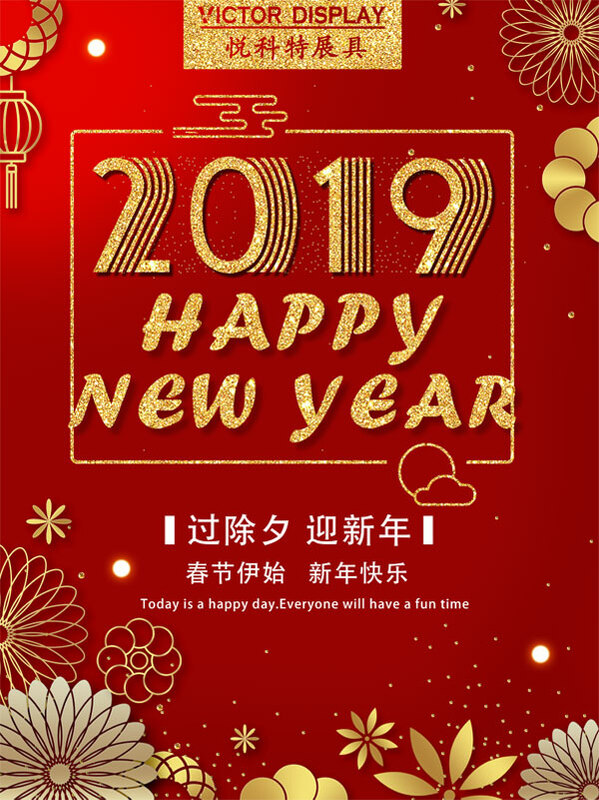 Allow US to congratulate you on the arrival of the New Year and to extend to you all my best wishes for your perfect health and lasting prosperity. Need any help please email us. 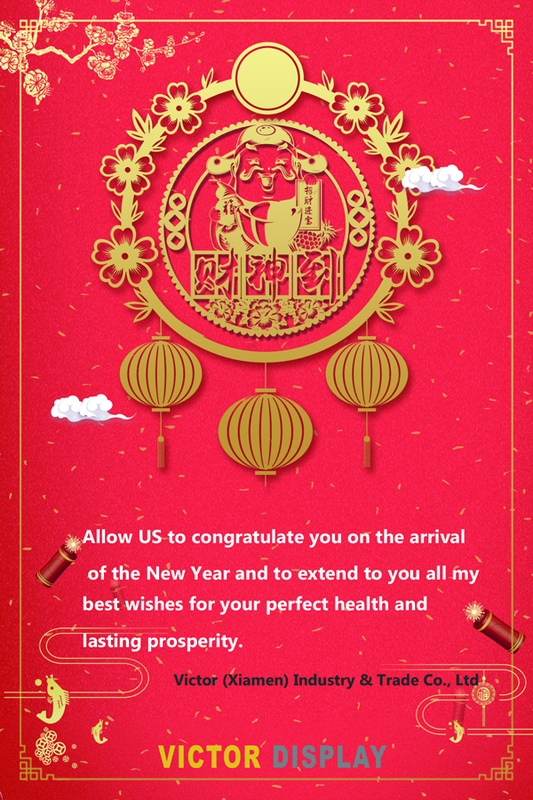 Our customer service will check email during holiday.